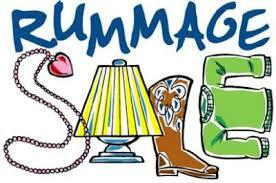 The Fairfield Grace Rummage Sale will be held on Saturday, March 2 from 9:00 am – 3:00 pm. We need donations of clothing, children’s items and household goods. Items can be dropped in the hallway outside of Tremayne Hall starting on Mon, Feb 11. Draperies, rugs, bedding are accepted. Please do NOT bring the following items: Furniture, Books, VHS Tapes and Dishes. Contact Lee Del Vecchio 203-374-2130 with any questions and to volunteer.